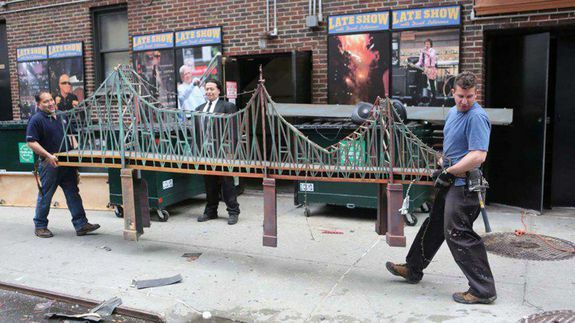 CBS wasted no time destroying Letterman's set, and fans go dumpster diving - trendistic.com: ever tried. ever failed. no matter. try again. fail again. fail better. One network’s trash is a Late Show superfan’s treasure. Cue devoted fans rushing to the scene to dumpster dive for some iconic talk show memorabilia.